New music alert. A few of the songs have been released already some weaks ago, but the rest of it just came out this Friday (in a lot of countries at least). It's the Irish band's second album. They can already look back on two years of success after releasing their debut "In a Perfect World" in 2013. And I'm sure there's a lot to come with this brilliant new album. It still sounds like them, it's got the typical Kodaline choruses and vibes, but the general sound got altered a bit. There are more synthesizers on the tracks, therefore the melodies got more electronic and the songs got more dimensions and depth. To be honest, I'm not sure if I really appreciate that. Don't get me wrong, I've listened to the album a few times now and there's loads of great songs on there, I just feel that they lost a bit of their special tone and are going for a sound that's more mainstream and going in the direction of Coldplay. Speaking of being honest, "Honest" is the first single released from this album and it is amazing and has been stuck in my head for weeks. Not just because the music itself is great but specifically because the lyrics are so well written and true - honest exactly. And Coldplay would be proud of that chorus. What I really like about the "new" sound are the rockier songs on the record: "Human Again" and "Ready". Steve's voice sounds great on song's like these. Also "Play The Game" is my new motivational song, the lyrics are perfect for that role. "Lost" is a bit more electronic and one of the different sounding one. But the more I listen to it, the more I start to get really into it. "War", which is a song that's only on the Deluxe Album is one of the ones sounding like the old songs and that's beautiful as well and therefore also one of my favourites on the LP. But my absolute favourite has to be "Love Will Set You Free". It's stunning, utterly emotional and to be honest, it makes me cry. I love when music can induce real emotions, that's a sign of really great songwriting. 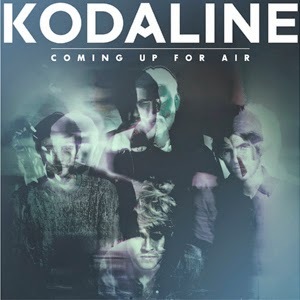 Alltogether, I think this album is a new adventure for Kodaline fans and really good new music for everyone. Just listen to it below and see for yourselves.